What's Going on at the Diner? 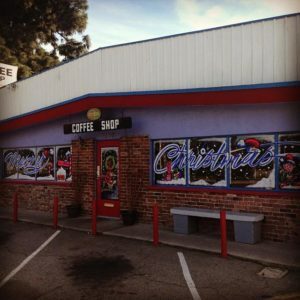 We made the Top Greasy Spoon Diner in So Cal. Nice surprise ? 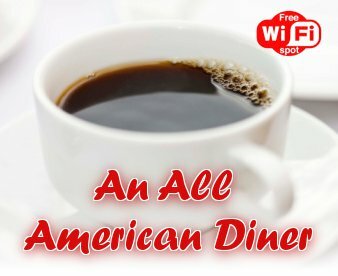 https://www.onlyinyourstate.com/southern-california/best-greasy-spoon-diner-so-cal/You’ll Find The Best Greasy Spoon Diner On The Planet At This Southern California Hole-In-The-WallYou’ll feel right at home at this cozy diner in SoCal that serves comfort food that is lip-smacking delicious. Drop by for a visit and enjoy great “Home-Cooking” and service that will have you questioning whether you are actually still in California… We look forward to seeing you soon. Check back soon for our latest special! Please check back for upcoming events at Lisa’s Coffee Shop! 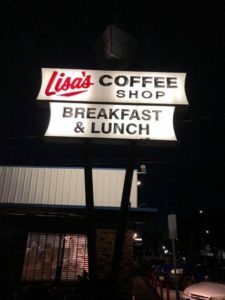 …with a trip to Lisa’s Coffee Shop, Covina’s favorite “Hole in the Wall…” From the sounds of Bobby Darin or the Beach Boys, to the authentic Fifties and Sixties Memorabilia, to a full Biscuits and Gravy Breakfast for less than $4…. Lisa’s will bring you back to a time long gone….